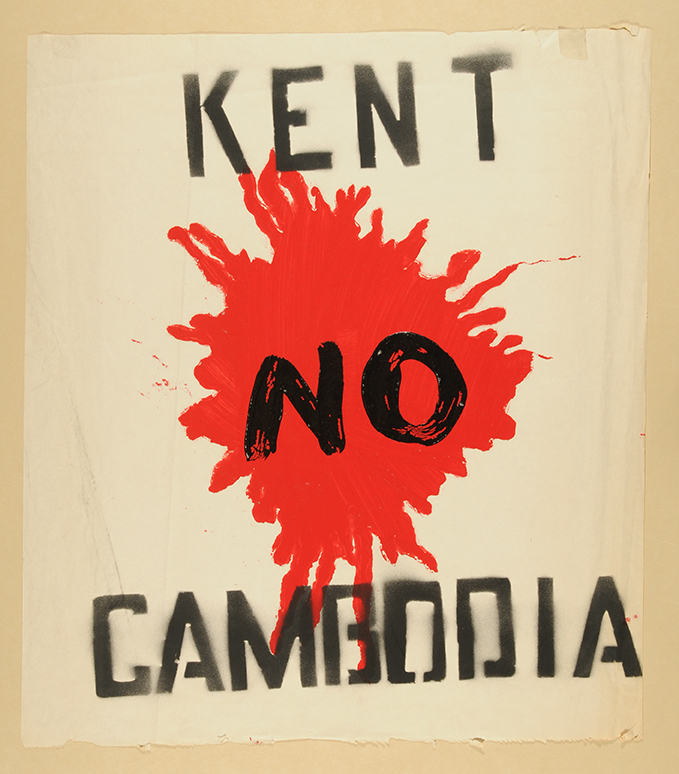 In the weeks after the tragedy at Kent State, Oberlin students in Professor Paul Arnold's printmaking classes created screenprint posters to express their horror and protest in response to the student deaths and to those of Americans, Vietnamese and Cambodians in the Vietnam War. This is one of many posters that were made at Oberlin at that time. The photographs provided here by the Oberlin College Archives for the College Library server may be downloaded for one-time personal or classroom use, if not for financial gain. For all other uses of Archives' photographs--including reproduction in a brochure, scholarly article or book, or other publication (digital or otherwise)--users must seek permission from the Oberlin College Archives (email: archive@oberlin.edu; telephone 440-775-8014). Archives URL: http://www.oberlin.edu/archive/. Images from the Oberlin College Archives are protected by U.S. Copyright law. 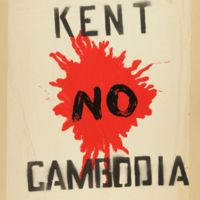 “"Kent Cambodia No," Oberlin student poster in response to May 4, 1970,” The Oberlin Sanctuary Project, accessed April 24, 2019, http://sanctuary.oberlincollegelibrary.org/items/show/36.